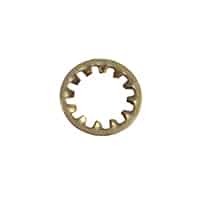 Special star lock washer, fits steering wheel securing nut on 1959 through 1996 Minis. 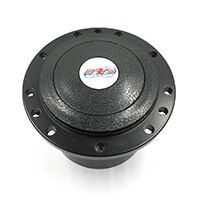 Steering wheel hub used to replace air bag-fitted steering wheel on MPi Minis. 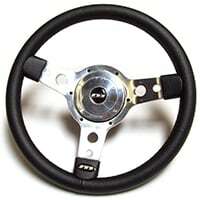 Fits Momo, Nardi, Abarth, Italvolanti, Indy, Raid steering wheels. 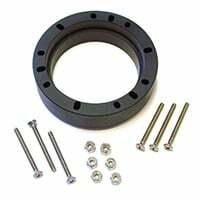 Steering wheel hub to fit pre-twin point injection cars for Mountney M range steering wheels, Jamex, Momo, BBs, Sparco, and others. 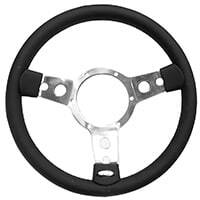 Mountney Classic 13" dished steering wheel with round holes in polished spokes. Grip is wrapped in black leather. 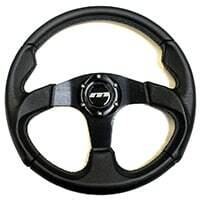 Mountney Sport 13" (340mm) steering wheel. Moulded from sustainably raised Naugahyde. Mountney 13" Retro Classic Cooper look-alike; has a billet center boss and vinyl covering giving a great look and feel. 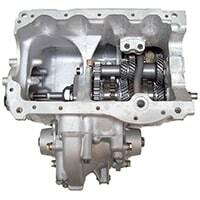 Will not fit air bag twin-point-injection models (MPi); not for Mk1. 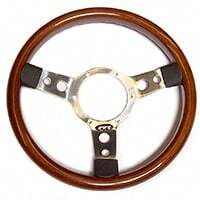 Mahogany rim 3-spoke 13" steering wheel with polished spokes. 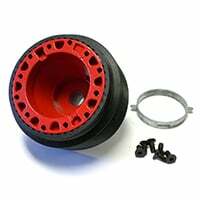 Hub adaptor STR0013 (to 1976) or STR0014 (1977-on) is required to mount this wheel in your Mini. 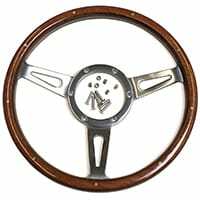 This Mountney steering wheel features a thin-grip wooden rim and narrow aluminum spokes for that classic sports car look. 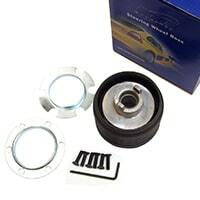 Not suitable for airbag-equipped Minis.